Unlike other blackwater rivers, the Suwannee maintains its inky color along its entire 400-kilometer (250-mile) journey to the sea. 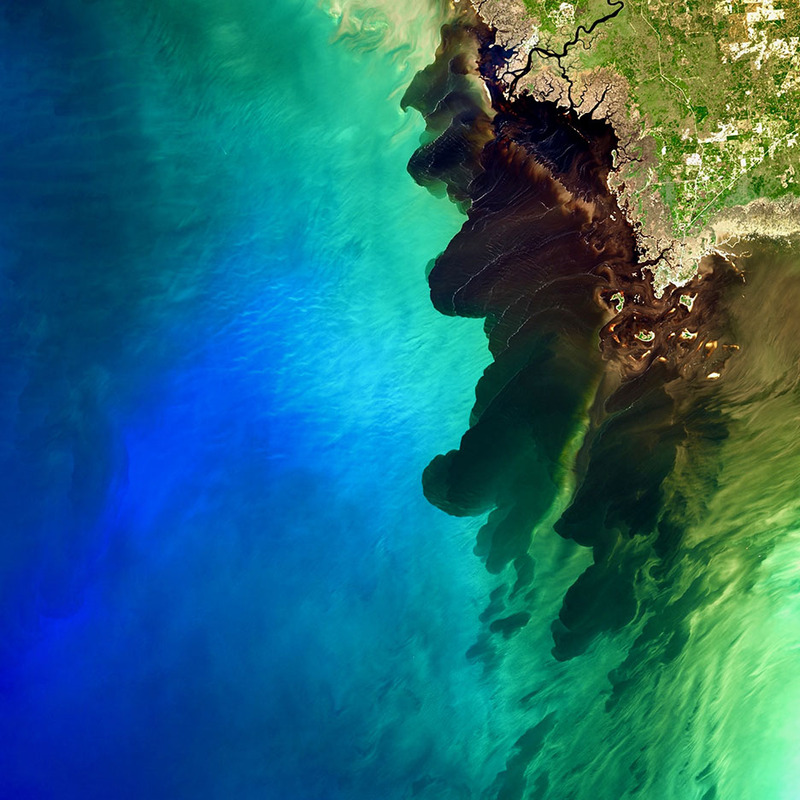 When the river finally meets the Gulf of Mexico along Florida’s Big Bend—that portion of coast where the state’s panhandle curves to meet its peninsula—its dark waters act like a tracer, revealing whereby the river water mixes with the sea. 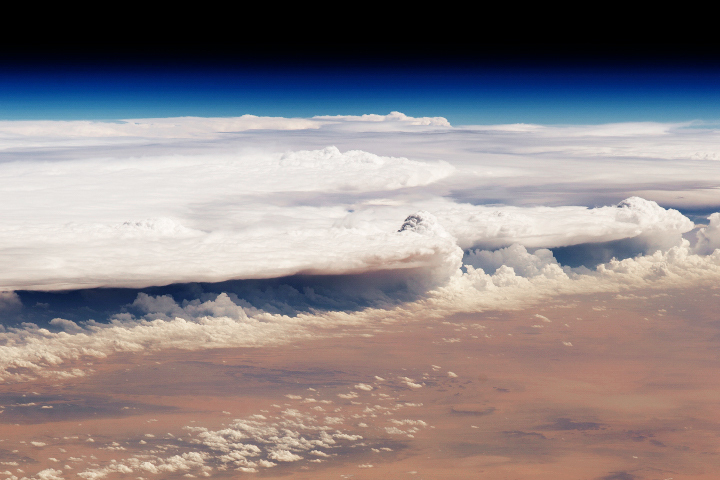 That mixing was on display on February 20, 2015, when the Operational Land Imager on Landsat 8 captured this view. 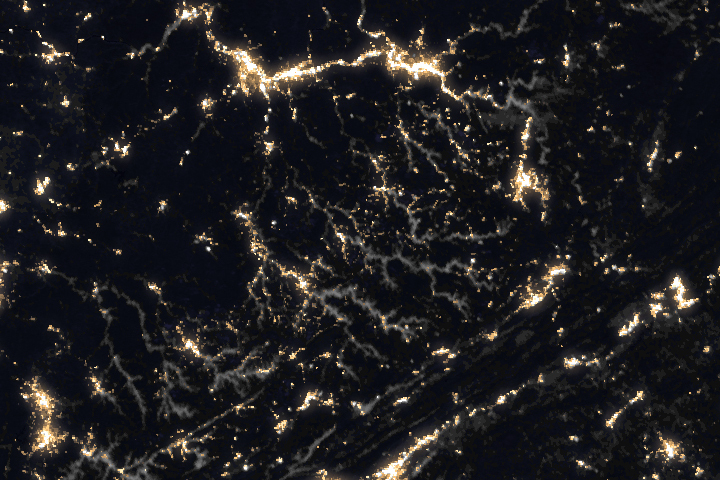 Certain colors in the visible-light image have been enhanced to bring out the details in the Gulf of Mexico. To understand the color of the Suwannee River, you have to start at its source. In Georgia’s boggy Okefenokee Swamp, the peat deposits are so extensive that the ground quivers with every step. It is in this swamp that the nascent Suwannee River first encounters large amounts of decaying vegetation. As these leaves, branches, and bark decay, the tannins that once protected the vegetation dissolve into a substance that dyes the river a brown so dark that it borders on black. The amount of dark dissolved organic matter, or humic substances, in the Suwannee River is nearly ten times higher than other streams around the world. The Okefenokee is teeming with life, and more than 350,000 acres of it are protected as a National Wildlife Refuge. The Okefenokee is home to rare birds, a wide assortment of amphibians, mammals, and reptiles such as the American alligator. It is also home to more than 600 species of plants, including three types of carnivorous plants: the Fly Catcher, Bladderwort, and the Sun Dew. The Suwannee River that rises from that swamp is also ecologically distinctive. It is Florida’s second largest river system and the largest blackwater river system in the region. The Suwannee alligator snapping turtle makes its home here—the only place on Earth where the species is found. Research published in 2014 established that the turtles have been a unique species for five million years or more. 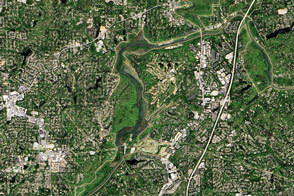 The Suwannee River branches as it approaches the Gulf of Mexico, creating a deltaic estuary full of mud flats, salt marshes, and smaller tidal creeks that become the Suwannee Sound. The sound is partially buffered from the sea by a network of sandbars and oyster reefs. Seagrass is hard to find in the sound because the dark Suwanee waters do not let enough sunlight penetrate to the seafloor. 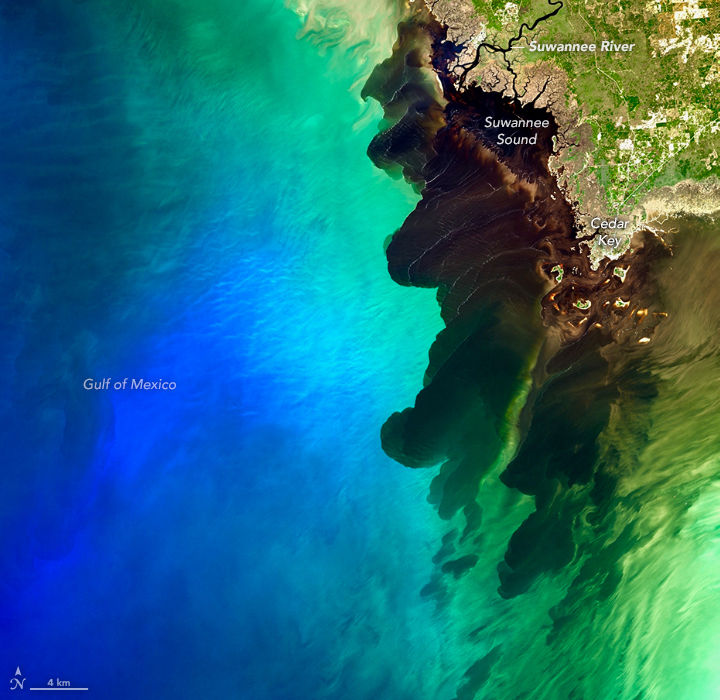 That dark river contributes 60 percent of the fresh water to the Gulf near the Big Bend region. These days, it is also carrying some trouble. 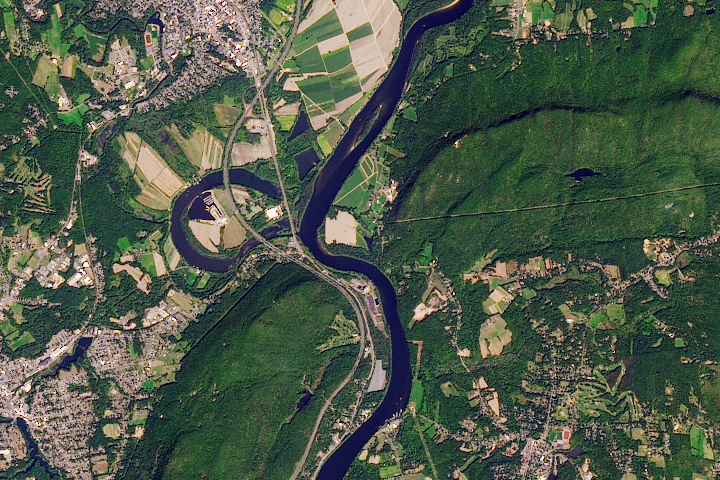 As upriver urbanization increases and farmers turn to more intensive fertilizing practices, the accompanying nutrient loads are contributing to declining water quality. At the same time, river water withdrawals for irrigation and municipal use are also putting the water quality at risk. A research group at North Carolina State University is studying how land use changes and human activity in the Suwannee River basin are affecting water quality, discharge quantities, and the health of the estuary. The lab has been using Landsat data to analyze feedbacks between oyster reef growth and the amount of freshwater in Suwannee Sound. 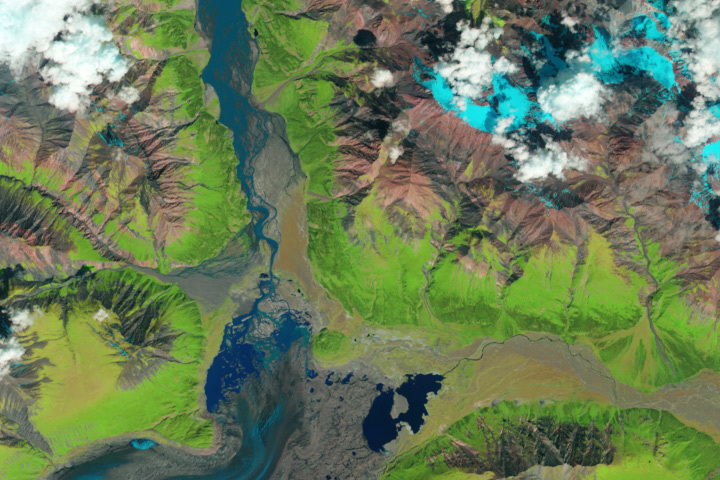 NASA Landsat Science (2018, August 30) Where Rivers Meet the Sea—Envisioning Science with Landsat. Accessed October 17, 2018. Okefenokee Swamp Park (2017) Swamp Plants. Accessed October 16, 2018. Suwannee River Water Management District (2018) Suwanee River. Accessed October 16, 2018. Suwannee River Water Management District (2016) Minimum Flows and Levels: The Upper and Middle Suwannee River Systems. Accessed October 16, 2018. University of Florida, Florida State University, University of South Florida, University of Central Florida, University of Georgia, USGS, USDA, and SRWMD (2018) The Suwannee River: A Coastal Plain Watershed in Transition. Accessed October 16, 2018. University of Vermont (2014, April 23) Research splits alligator snapping turtle, 'dinosaur of the turtle world,' into three species. Accessed October 16, 2018. U.S. Fish & Wildlife Service (2014) Okefenokee. Accessed October 16, 2018. U.S. Fish & Wildlife Service (2000) Okefenokee National Wildlife Refuge: The Swamp Walk Trail Guide. Accessed October 23, 2018. U.S. Geological Survey (2004) Suwannee River Basin and Estuary Integrated Science Workshop Proceedings. Accessed October 16, 2018. U.S. Geological Survey (2004) Suwannee River Basin and Estuary Initiative: Executive Summary. Accessed October 16, 2018. U.S. Geological Survey (2004) Gulf of Mexico and Southeast Tidal Wetlands Project. Accessed October 16, 2018. The Washington Post (2013, April 25) The Okefenokee Swamp, atremble with wonders. Accessed October 16, 2018.